A couple miles past Knob Noster, we’ll approach Route P.
Turn right for P north. Stay straight for 50 west. 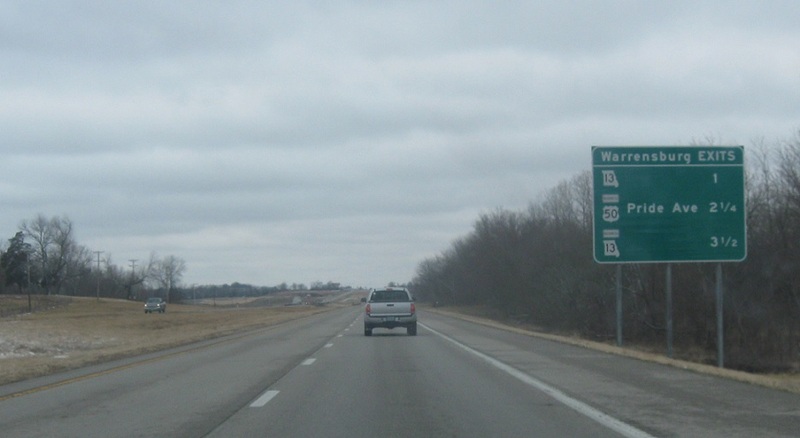 As we near Warrensburg, we’re a mile from Route 13, 2.25 miles from 50 Business, and 3.5 miles from 13 Business. 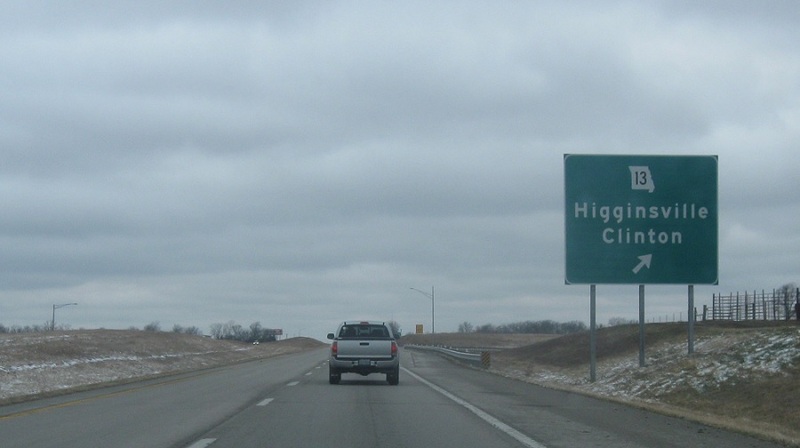 Exit for Route 13, which heads north to Higginsville and south to Clinton.